What frozen treat in the park is your favorite? There are way more to choose from than you can possibly imagine. But for me the choices were pretty easy. If you’ve played with us before, each month our friends over at Mouse on the Mind pick a topic and a bunch of us who love Disney write about it. We pick something we wish they’d get rid of (kill), something they need to rethink or overhaul (refurb), and something we love (marry). So this month we are picking our kill, refurb, marry of frozen treats. Kill – Anything with bananas. No offense to bananas or anyone who likes bananas, but the darn things make my ears itch. And there’s something about the soft, gooey texture that I just don’t find appealing. Okay, best frozen treat ever! Bring it back Tokyo Disneyland! 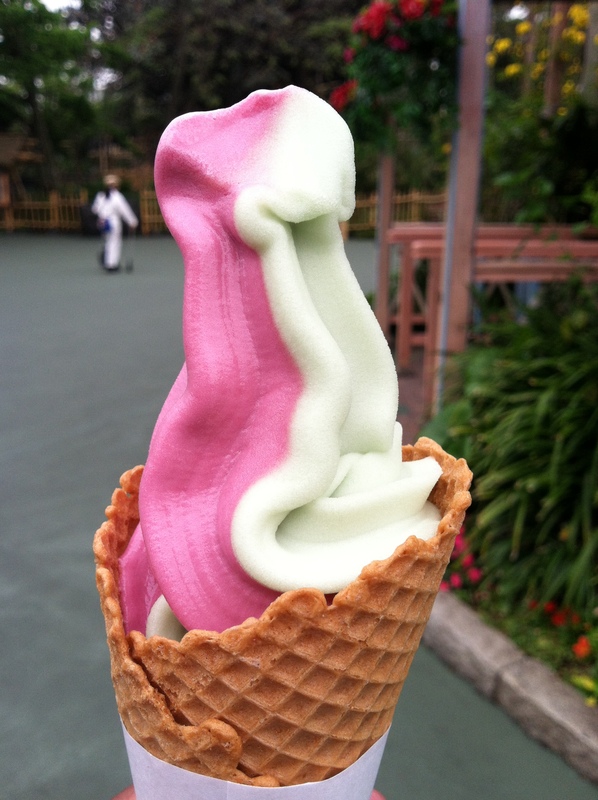 Refurb – Sour apple and grape soft serve at Tokyo Disneyland! I don’t know if this really counts as a refurb, but when I first went to Tokyo Disneyland in 2012, this was by far my favorite treat. I even wrote about it on my blog. Once I tasted it, I went back everyday into the park just to get one it was that good. I’d never had something like it – sort of a cross between a Dole whip and sherbert. SO GOOD! But when we returned this summer (2015), it was gone. GONE! It was replaced by a fruit smoothie stand! Anyone can get a fruit smoothie. Maybe not in Japan – I don’t know. But for my refurb, I think they need to refurb this back to the way it was! Marry – Tiramisu ice cream sandwich. I found this treat at Tokyo Disneyland also and let me tell you it was wonderful! It tastes sort of like a gingerbread ice cream sandwich rather than actually tasting like tiramisu, but it is so good! I’d show you a picture of the actual product except I ate it too quickly. Hey! It was hot. Yeah, that’s it. A close second in this category was Ghirardelli sundaes and now that you can have one in Disney California Adventure – all the better. Another great frozen treat that almost made the list? Soft serve ice cream again in DCA. 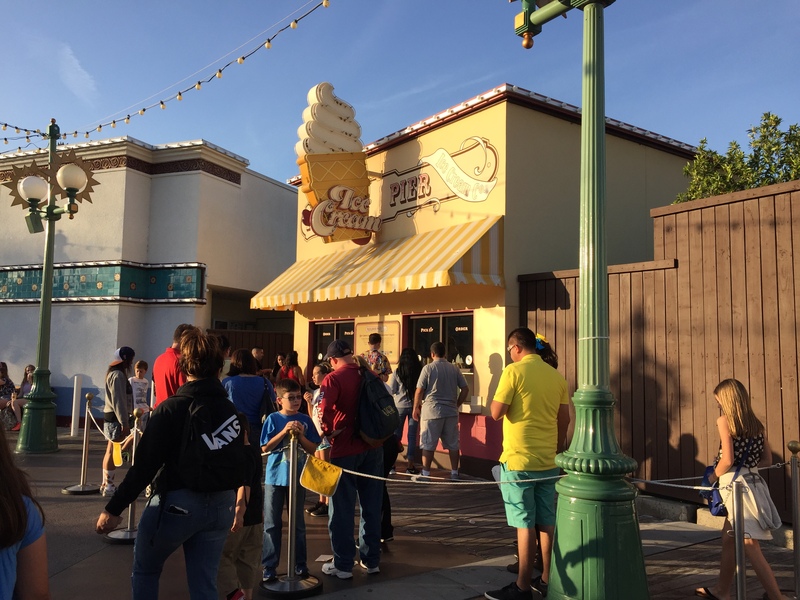 It’s called the Paradise Pier Ice Cream Company and it used to only be open seasonally. I think that might still be the case. For whatever reason, this is one of the best soft serves I’ve ever had. If you get the chance, stop by. I did want to share about a frozen treat that isn’t in the park, but is a favorite of cast members and guests alike and that’s Joe’s Italian Ice. It’s right down the street from Disneyland and it seems to ALWAYS be busy. They have some of the most amazing Italian ice ever and if you don’t know what that is, you need to go and check it out for yourself. It’s way better than a sno-cone, and different than Hawaiian shave ice but just as delectable. I guess I could go on and on about this subject (way too long which explains my bulging waistline). But I hope you enjoy! Read about Joe’s Italian Ice on my blog and while you’re at it, head over to Mouse on the Mind and check out what other people had to say. Curious about some of my past Kill Refurb Marry posts? The last one we did was on resort pools and before that extinct attractions. They are tons of fun! 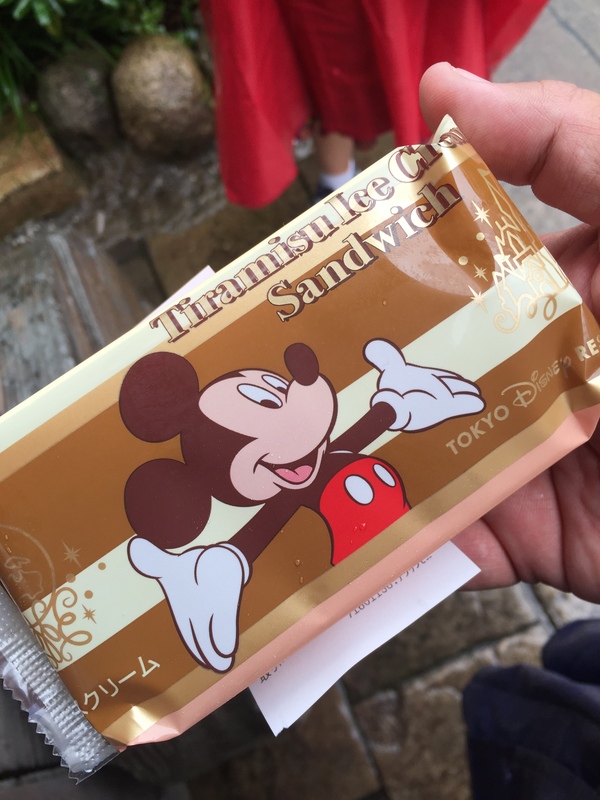 I would love to visit Tokyo Disney some day – and it sounds like they have really tasty frozen treats! That soft serve looks so good.